The HD Retransfer Card Printer Avansia can print plastic cards from edge-to-edge in high-definition printing quality of 600dpi. Learn how you can produce top quality and super fast security features such as holograms, UV security prints and chip cards. The Evolis AVANSIA retransfer printer has the highest print quality on the market. In re-transfer technology, the image is first printed onto a film and then transferred to the card using a roller. This means that printing on chip cards and RFID cards is also possible without loss of quality. You can also use AVANSIA to print borderless on both sides. Optionally, the Avansia printer can also be equipped with RFID/NFC encoding unit and magnetic encoder for magnetic cards. 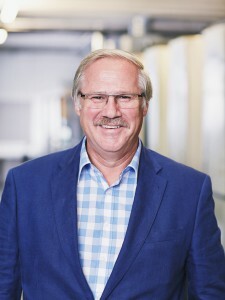 The Avansia card printer uses retransfer printing technology to achieve top-quality card output. Its unique selling point – the high resolution of 600dpi – enables photo-realistic prints for the highest demands. The result is indistinguishable with the naked eye from cards produced with offset printing machines. The Avansia is designed for heavy-duty use, as can be seen from its robust construction and the security of the card output tray. With an output speed of over 140 cards per hour in single-sided colour printing, it is ideal for medium to large runs of serial prints. The image is applied to a transparent film in dye-sublimation printing and then transferred from the film to the blank card. 4 colours can be printed simultaneously with a resolution of 600dpi. This results in high-definition colour prints and it is also possible to produce even the smallest security features in the best quality, f.e. microtext or guilloche prints. Convince yourself of the outstanding print quality and order free sample prints! 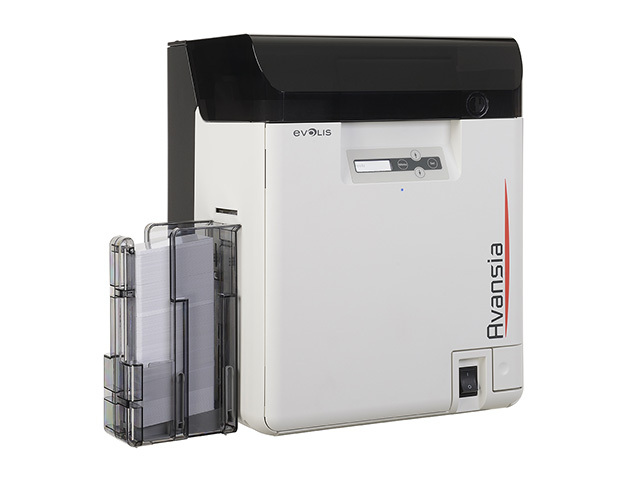 We are here to help you with any questions about the Avansia Retransfer Card Printer from Evolis. Please don’t hesitate to contact us.